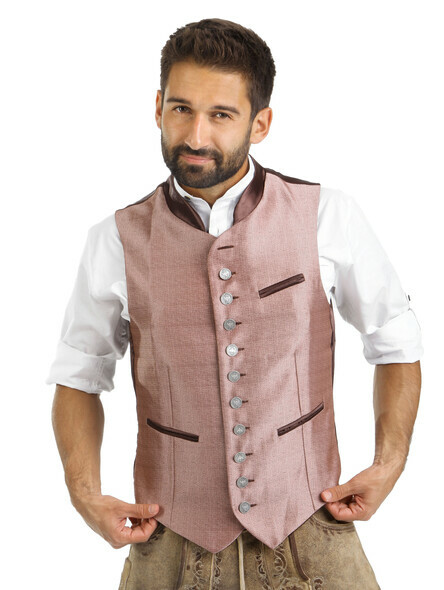 The Bavarians call it trachten vest, in the specialist jargon known as Bavarian waistcoat ? 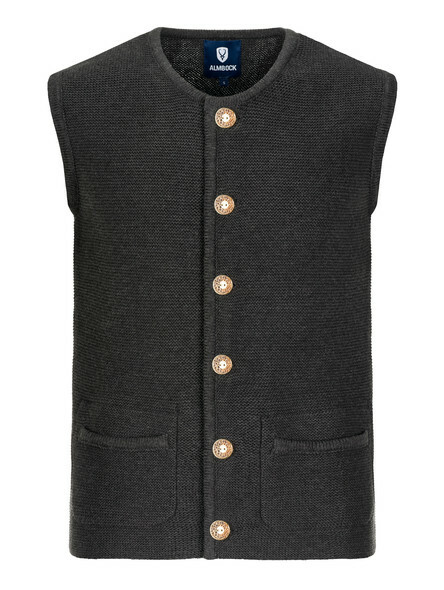 no matter what you call it, the Bavarian men?s vest for men complete every Oktoberfest outfit on its own. 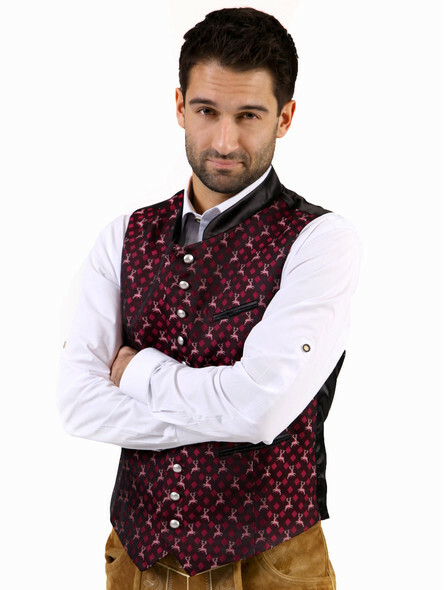 Noble jacquard and brocade fabrics are responsible for the silky shimmering look of our traditional Bavarian vests. They always create an elegant, chic look ? 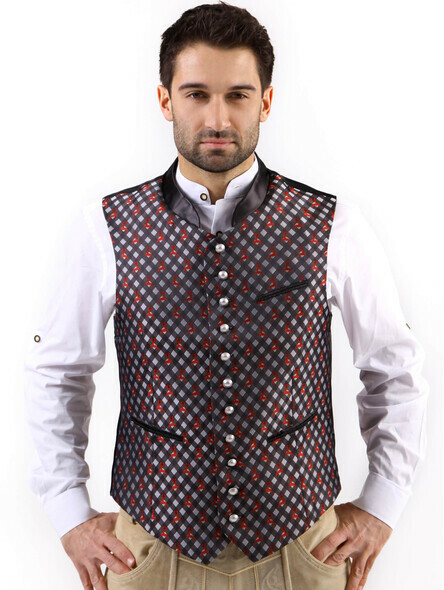 no matter if you choose a vest with splendid patterns or a plain-colored one. 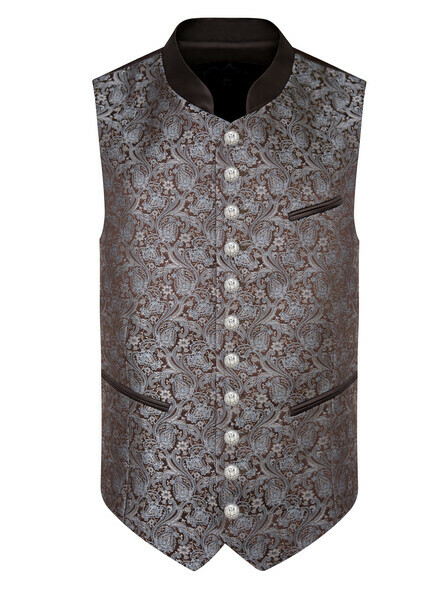 Our rustic details complete the traditional waistcoat without overloading it. 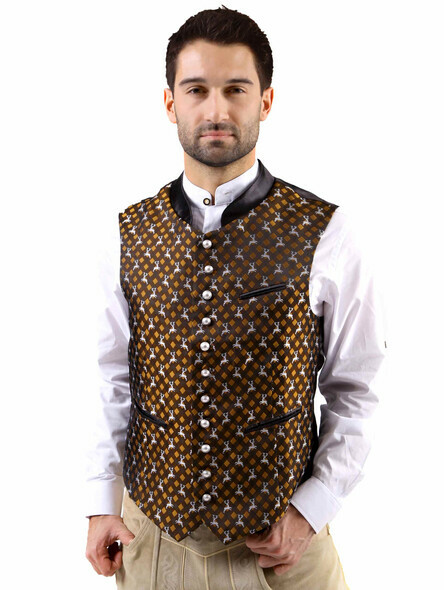 Thus, the entire look is tastefully upgraded and, thus, it is a companion for festive occasions and weddings. 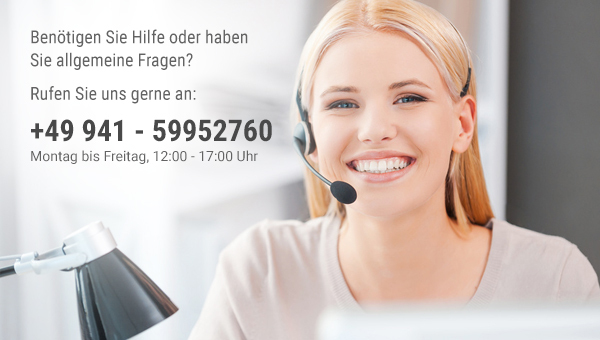 Our perfect cuts and the masterful quality - Made in Germany - are one thing. 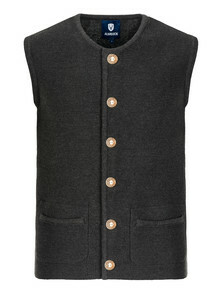 The right styling of the Bavarian vest is the other. 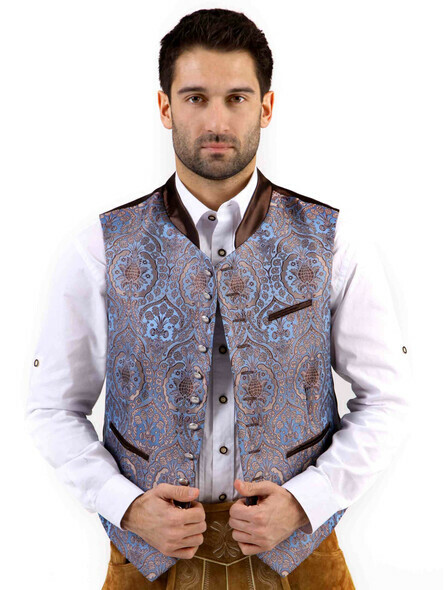 But be reassured, with a men's traditional waistcoat there is not as much to consider as you might think. 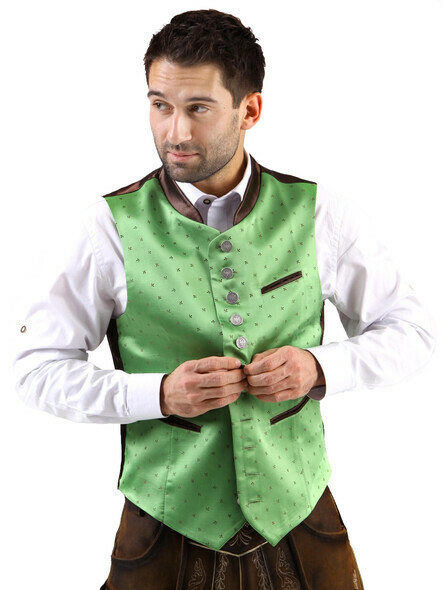 Just make sure that the color design of your lederhosen, including the embroidery, matches the design of the traditional vest. 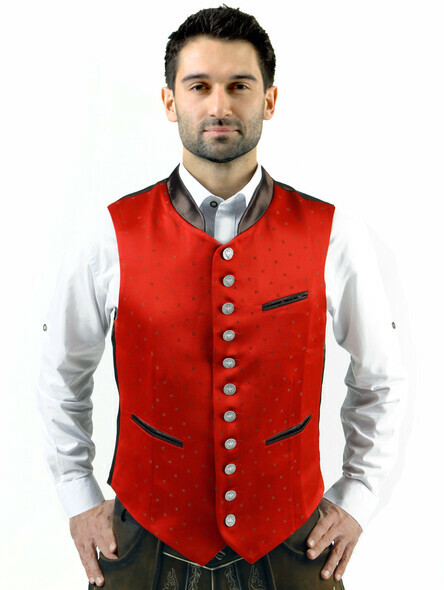 Due to the decorative colorful elements in our vests, it is recommendable to choose a simple traditional shirt for underneath. 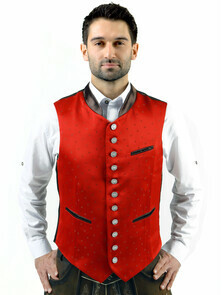 In our colorful product range, we can offer traditional Bavarian waistcoasts in different colors and patterns. 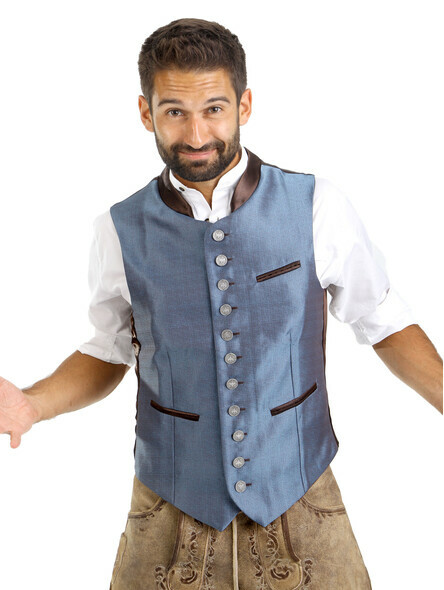 Our vests come in grey, blue, red, green with less or more details and will definitely give your lederhosen costume the finishing touch.